This post is an entry for the #BepanthenProtects Challenge sponsored by Bepanthen. Learn more about how to protect baby’s sensitive skin on https://www.bepanthen.co.uk/. As parents we all want to protect our children. As they grow it’s inevitable that they will catch colds and suffer from other common illnesses such as nappy rash. In fact, nappy rash is so common that 1 in 3 babies will be affected at some point. Luckily however, nappy rash is a childhood ailment where protection and prevention is better than cure. Bubba and I were recently invited to take part in the #BepanthenProtects challenge and we were sent samples of Bepanthen Nappy Care Ointment free of charge. Over the last two weeks we have been using Bepanthen and learning how #BepanthenProtects baby soft skin. In comparison to adult skin, a newborn baby’s skin is 40% thinner and softer making it much more sensitive to irritation. Since using Bepanthen on Bubba I’ve noticed how easy it is to apply. Non-sticky, a little goes a long way which means it offers great value for money. A thin layer applied to your baby’s clean, dry bottom at each nappy change is all that is needed. 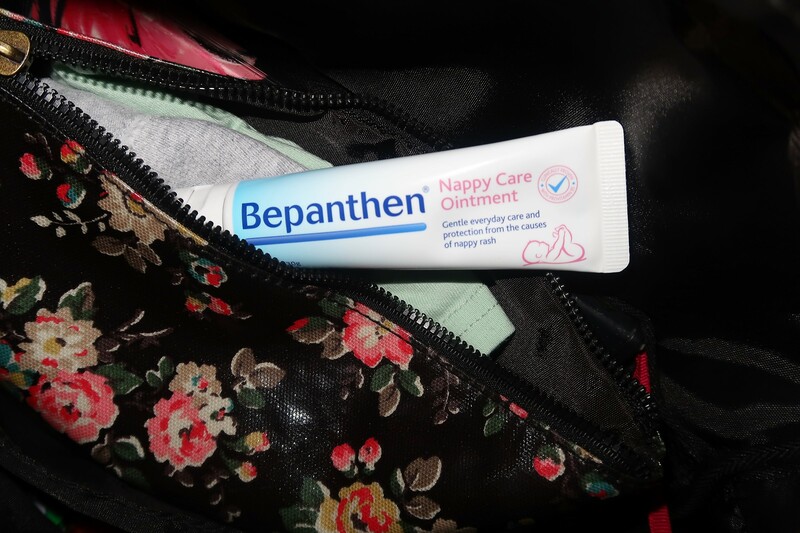 The smaller 30g tube is the perfect size to pop in a changing bag and allows me to rest assured that I will always have Bepanthen to hand at every nappy change – even when out and about! The 100g tube slotted perfectly into our changing table storage tub meaning that it was within reach for whoever happened to be changing Bubba’s nappy day or night. I found the flip-top lid especially useful as it can be opened and closed easily in just one hand leaving my other hand free to support and steady Bubba during changes. I’ve been really impressed by Bepanthen and it’s good to know that Bubba’s delicate skin is getting gentle everyday care and protection. Have you used Bepanthen? What are your top tips for caring for your baby’s delicate skin? I’d love to know so please comment below.